In Queens, which is, as I may have mentioned before, the best borough in New York City, there is a park that has hosted breeding Great Horned Owls Bubo virginianus for several years running. That is as specific as I am willing to be about the location of the nest simply because too many people knowing where the nest is would invariably lead to too many people visiting and putting undue stress on the birds. But, seeing as I do know where the nest is, I couldn’t resist bringing my own little nestling, Desi, to visit the owl nestlings, along with our friend, Kerry (who long-time 10,000 Birds readers will remember). Only one nestling was in sight at the nest and neither mom nor dad owl could be found, so we made due with the one nestling we could see. We maintained a respectful distance and viewed and photographed through the scope to avoid freaking out the owl family. The nestling Great Horned Owl is above and the nest tree, with the nestling peaking out on the left side of the top of the broken-off tree, barely visible, is below, followed by some more nestling shots. 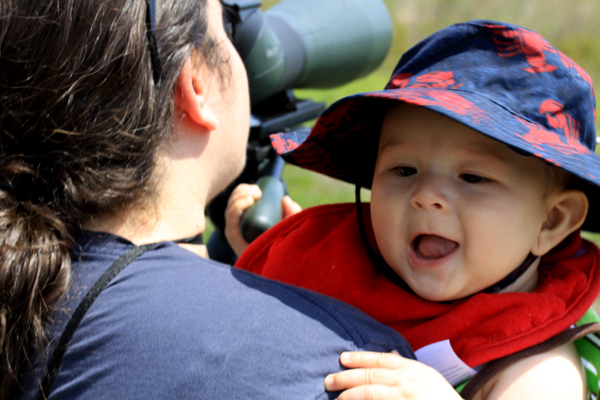 Of course, while we are on the topic of cute nestlings, here is my own little Desi-nestling, helpfully adjusting the scope so Kerry could get a better look at a Tricolored Heron. This post has been submitted to Bird Photography Weekly #88. Go check it out! Cute shot of the owlet. One would never know it was there if you did not point it out. Great capture! Those eyes on that owl are amazing! What great captures. Your little one is a cutie too! 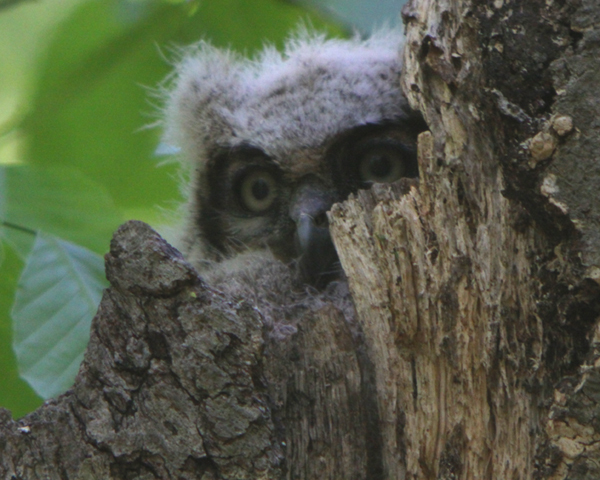 For the first time in a long time, Great Horned Owls have nested in Albany, right along I-787. NYS troopers were buys for awhile chasing bird watchers off the side of the highway! 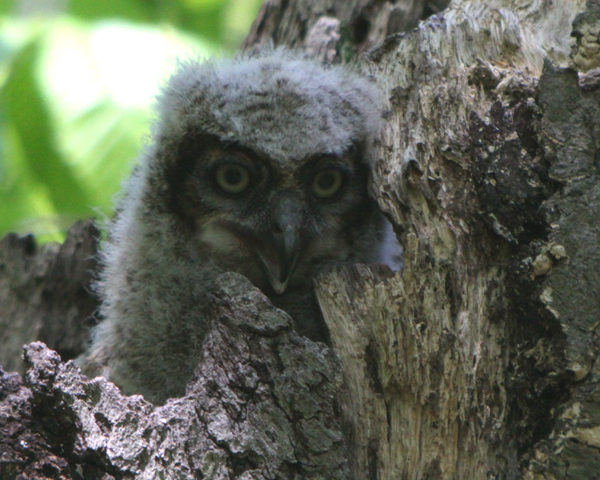 Great shots of that owlet! My GH Owlets are starting climb up the branches and flap their still fluffy wings. My kids get a huge kick out of it. I love everything about this post except for your regrettable typo in the first line. Real New Yorkers place Queens below every borough except Staten Island, although Queens does offer excellent dim sum joints. @Corey: I don’t get it. Mike slams your borough while you elevate Rochester?! Have your wits run dry? 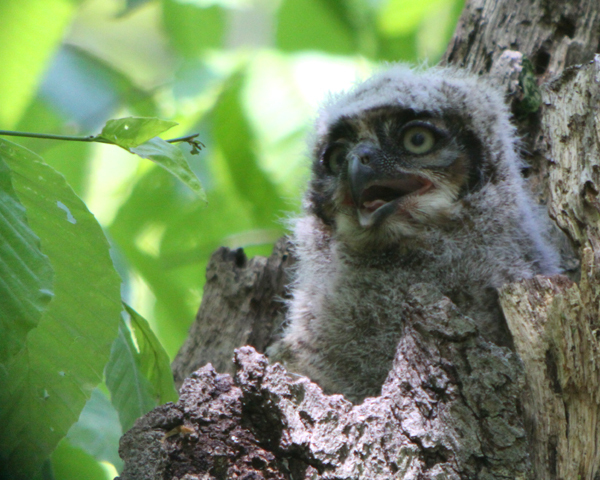 These are fantastic digiscoped shots of the Great Horned Owlet Corey. 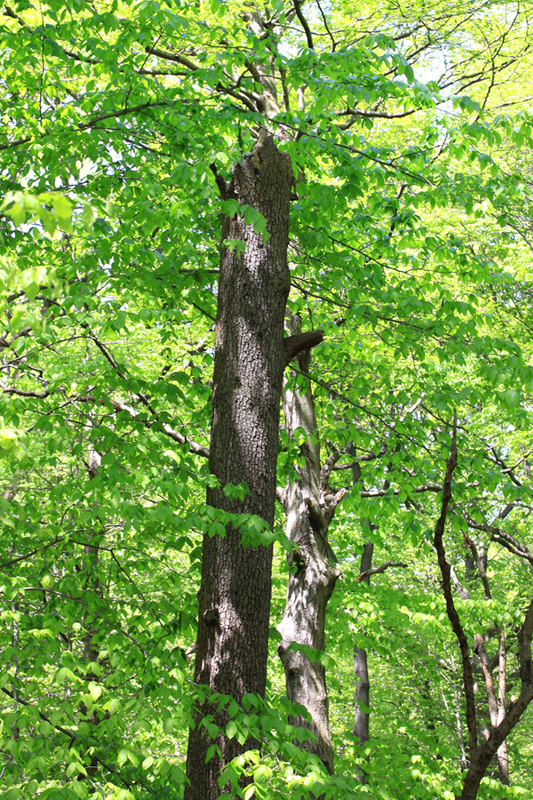 The pair I photographed last year did not return to their favorite oak tree for some unknown reason. I loved watching them grow.